Unlike a lot of other Wave Sayonara reviewers that I have come across on the internet so far, I am not a mega huge Mizuno fanboy and only recently started using their shoes (after the now-known-to-be-false announcement of the impending doom of the Brooks Launch). My first Mizuno shoe was the Wave Precision 13, and while I like to use it for long runs and recovery runs, I sometimes find it to be “too much” shoe to be used as my everyday workhorse. So, when I first heard about the upcoming Sayonara, read the specs, and saw all of the promos about it, this sounded like a shoe that would fit right in my wheelhouse – medium level heel-toe drop at 10mm, fairly light at 7.9 ounces, and supposedly this would be a “fast” shoe. (Disclosure: These shoes were sent to me free of charge as a media sample courtesy of Mizuno). The design of the upper is fantastic, with all kinds of intricate stitching that looks great. There is a lot of stitching on the inside, which looks like it wouldn’t be great for liner-less sock-free running; but might be ok if you left the sock liner in. The outsole has very good ground contact all the way from the forefoot to the heel on the medial side, the whole arch area is filled in with yellow (U4ic) midsole foam. The laces have some sort of “bumpy” texture all along their length, most likely to help hold your knots tight. I ALWAYS double knot my laces anyway, so this doesn’t really affect me. But for those of you that aren’t double knotters, this might be beneficial. I definitely could feel that the Sayonara sits lower to the ground than the Precision. I’ll hit the specs on the exact stack height in the comparison below. 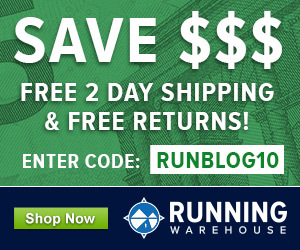 For the sake of keeping this review a little more to the point and readable than my last Runblogger review (which was for the Karhu Flow 3 Trainer), I’ll only list a few more details and shoe specs that I didn’t list above and try to keep it to the main specs that most runners are interested in when reading about a new shoe. If you REALLY want to know what sort of space age materials Mizuno employs in the Sayonara, Running Warehouse does a great job covering the shoe specs on their Wave Sayonara page. color availability – there are 2 color versions, a blue model and a white model. Mizuno refers to them as “Dude blue/anthracite/bolt” and “White/anthracite/lime punch” colors. As of this writing, I have 135 miles on my Wave Sayonaras, with most of those miles being on the road. I did run one trail half marathon race in them, so I think I have a good feel for how they perform off road too, which I will detail in a separate section below. I have not done any treadmill miles on them this summer, as I prefer to run outside even if it’s smoking hot. I have run a good variety of paved routes though, with some being relatively flat and others being pretty hilly (for West Michigan where I live, that is). I have not had the opportunity to try them in wet conditions yet, as it has been a pretty dry summer where I live. One of the first things I noticed when I ran in the Sayonaras was how PLUSH they feel. It seemed very strange to me because they don’t have a ton of cushion in the forefoot (with a 14mm stack height), but they were really comfortable and my feet felt great out on the first run. Ironically, I had purchased a few new pairs of running socks that I have grown to dislike for a variety of reasons, but the Sayonara even made those “not so great” socks feel good out on the run. Another thing that I immediately noticed was the roomy forefoot. If you look at the shoe from the top, you can see that it has a bit more of a squared off shape than the typical pointy toed front that most running shoes have. It is definitely noticeable out on the run. I REALLY like this extra room for my toes to splay and wiggle around and I think it helps a lot especially in the warm summer months when it is so easy to get hot spots and annoying blisters on the toes due to rubbing from too tight shoes as well as mega sweaty summer feet. And even though they have plenty of room in the forefoot, the shoe grips very well around the heel and midfoot and did not feel sloppy at all to me. When I am first running in a new shoe, I like to pay very close attention to various irregularities in the terrain and see how much I can feel as part of my “ground feel” test. I run down the road, looking for gravel, cracks in the pavement, manhole covers, and anything else I can try. Sometimes, I even run over sections like this with my eyes closed to see how well I can feel the terrain. I know, not the safest idea in the world, but these are the crazy lengths I go to in order to bring you an in-depth review!! Don’t worry, I only close my eyes for 5-10 seconds at a time… I was able to feel the loose gravel and definitely the manhole cover, but the crack in the road that I can very easily detect with a more firm “racing flat” type of shoe wasn’t quite as noticeable in the Sayonaras. I personally think this is ok, as I like a little cushion to my ride for an everyday workhorse of a shoe. Stability in the shoe was very good, I have run a few faster paced runs and even tried making some tight u-turns on my route and always felt stable and in good solid contact with the road. In contrast to my initial “out of the box” impression of the Sayonara feeling fairly rigid, it actually ends up being quite flexible out on the run and I think this improved as I put more miles on the shoe. In addition to the trail half marathon race, I also did 2 longer training runs in these shoes (a 15 miler and a 17 miler), along with plenty of medium length 10-13 mile runs. My legs did not feel beat up or hammered at the end of these runs. It’s very interesting that this shoe works well for fast pace, moderate pace, easy pace, and even long distance runs. As a successor to the Precision, this shoe definitely has less cushion and protection, so some people might prefer to keep a shoe like the Precision for the long runs and even recovery runs, and then use the Sayonara for everything else. I personally feel that you can do very well in this shoe even for long runs, and it could be a great option as a race shoe for a full marathon. One interesting contrast that I find with the Sayonara as opposed to the Precision is that this shoe just plain feels fast, and almost “makes you” run fast. I thought it was just my imagination, but I made a quick spreadsheet chart comparing my run paces (& avg heart rate) for the runs I have done in my Sayonaras to my runs in the Precision. The resulting data was pretty shocking – the Sayonara runs were on average 15-30 seconds per mile faster at a similar effort level and similar running conditions when compared to runs that I did in my Precisions. I’m sure part of this has to do with the lighter weight of the Sayonara, but perhaps it also has to do with the “smoothness” of the ride and how it affects me when I’m out on a run. As for responsiveness, I have done a handful of tempo runs in the Sayonara and I find it pretty middle of the road. It is reasonably responsive, but I think that due to its softer ride, it is not quite as “snappy” as some of my firmer fast run shoes. Again, I don’t think this is a horrible thing, but if you REALLY want to push hard and fast, for example on a 5K race; perhaps the Sayonara might not be your shoe of choice. I really like the lace length on these shoes. They seem just about right, even when I double knot them and I don’t have a ton of extra lace flopping around. It seems like most of my shoes end up with waaaaaaayy too much extra lace flopping around, which almost forces you to double knot. The final lace hole has 3 different positions available, which I think is a nice feature depending on how you prefer to wear the shoe from a tightness standpoint; and if you ever have problems with heel slip. Compared to the Precision, I think these shoes are quieter out on a run. It seems like the Precisions sometimes have a “tap tap tap” sound to them when you are cruising along. The slight difference in outsole material sounds quieter to me on the Sayonara vs. the Precision. The toe box is relatively shallow, but this did not cause me any problems or irritations. The upper material is some sort of non-stretchy synthetic versus the Precision which has some sort of “natural fiber” mesh which is very stretchy in the toebox area. Interestingly, both shoes are specified to be using “airmesh” and “dynamotion fit,” which are supposedly very stretchy and airy mesh materials, but I found the Sayonara upper material to not stretch at all. I’m assuming that the reason for this non-stretching is the amount of welded overlays that the Sayonara uses. All that being said, I don’t think this is a problem for the Sayonara from a fit standpoint due to the very roomy toebox. It may, however, cause your foot to heat up more in the summer months as mine did on a few hot weather runs. Back in late August, I ran the North Country Run trail half marathon in Wellston, Michigan. I ran this race last year in a pair of Brooks Cascadia 6 trail shoes, and I was hemming and hawing about what shoe to wear this year. Knowing that the trail is mainly dirt singletrack, with a bit of sand, but not any mud or water crossings, it seemed like the Sayonara might work for the race. The trail has quite a bit of roots, and some rock sections, but not any really long sections with crazy amounts of boulders or smaller rocks that would give me a concern over the lack of a rock plate. So after reading a few other Sayonara reviews online in regards to trail performance and bouncing the idea off a few other people, I opted to run the race in the Sayonara. I thought that since I had not done any real off road testing with the shoe yet this would be the perfect opportunity. One thing I had not mentioned about the course is that it is quite hilly. My GPS race data showed about 1600 feet of elevation gain through the duration of the 13.1 mile half marathon. Some of the hills were long and winding, but quite a few of them were very steep too; especially on the downhill segments. I had run another trail half marathon earlier in the summer in my Cascadias, so that gave me a bit of reference data to compare to; even though the June race had less elevation gain and was an easier course than the North Country Run. In that previous race, I had gotten some BAD hot spots on both feet (in the Cascadias), but I was very happy to find that I had zero hot spots, blisters, or any other sort of foot discomfort during this race in the Sayonaras. I think the roomier forefoot in the Sayonara is helpful for avoiding those issues. The amount of cushioning in the Sayonara was good for this trail, and I think would be good for most trails. Possibly if you were running a really difficult trail with lots of sharp pointy rocks, you might have some issue, but I didn’t have any problems at all with the lack of rock plate. The outsole grip on the trails was quite good, and perhaps the little “nubby” things on the forefoot are beneficial for dirt. There were a number of downhills that I got going real fast on, and I didn’t lose my footing once. From a race/run feel standpoint, I like the fact that this shoe put my foot closer to the ground than my Cascadias. I feel more stable and also a little faster as opposed to the occasional “clunky” feel I get in the Cascadias. When taking the shoes off post race, I found that they did let a little bit of dirt in; but there wasn’t very much. This trail had quite a bit of loose dirt and some sand, so I was impressed to not find a pile of debris in the shoe since these are not really intended to be a trail shoe. The clear film that wraps over the toe seems to work reasonably well as a protector against rocks or roots. I didn’t hammer any rocks or roots really hard, but from pressing on it with your finger, it appears that it would offer good protection against most toe smashes except for perhaps the more extreme ones. My opinion for the Sayonara as a trail shoe is that it works VERY well for mild trails without a lot of mud, water, & rocky terrain. So if you are a road runner who likes to frequent the trails; this could be a great “do it all” shoe for you. My final conclusion and recommendation is that this is a great shoe, that really works nicely as both a daily trainer and a “go fast” shoe; with the added bonus of working pretty dang good on all but the roughest trails. As compared to the Precision 13 that it is replacing in Mizuno’s product line, the Sayonara has less cushion. Some people might find this less appealing as a long run shoe due to the lesser amount of cushion. Personally, I have worn it on a lot of longer runs, and think it works great as a long run shoe; but again this may come down to how much cush you like when you are out putting in serious miles and serious time pounding the pavement. It is possible that this shoe could be used as a bit of a “transitional” shoe to fit between more traditional trainers like the Wave Rider and the more minimal offerings from Mizuno like the Wave Universe or the new line of “Wave Evo” zero drop shoes. For me personally, I find the Mizuno Wave Sayonara to be the swiss army knife of running shoes. It works great for short, medium, and long distance and also works well for slow, moderate, and fast paced runs. 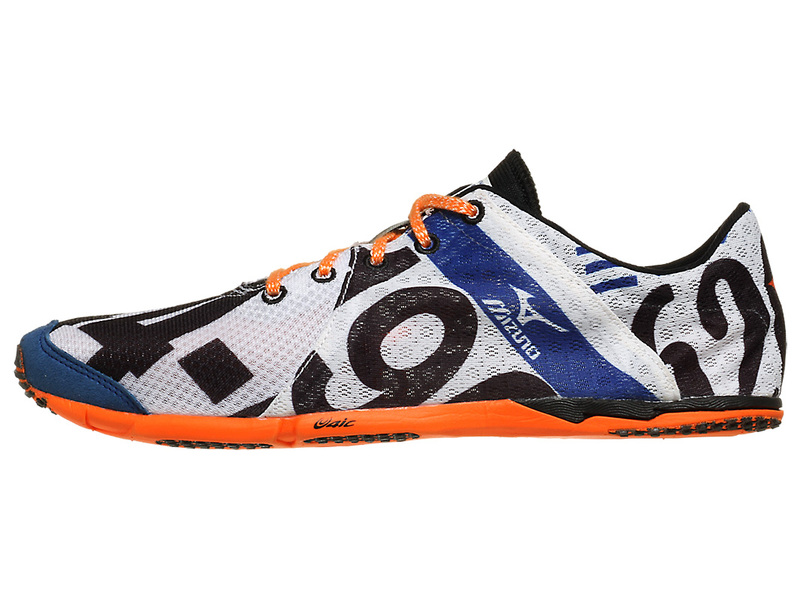 Throw in the fact that it does well on trails and I think it is very feasible to say that this shoe could replace almost every running shoe in your closet. 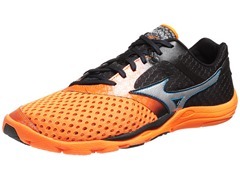 The Mizuno Sayonara is available for purchase at Running Warehouse, Zappos, and Amazon.com. Nice review! I have two pairs of Wave Sayonara in the rotation. One pair with 200 miles and the other with 50 miles and if you put a blindfold on me I wouldn’t be able to tell the difference between the two. The U4ic midsole holds up quite well. I echo your sentiments that this shoe is very versatile. I have worn it for every type of workout (tempo runs, easy runs, long runs, and even racing). I just wore it for the Erie Marathon and had no issues whatsoever. Not a hint at any hotspots or blisters for the entire 26.2. BTW I have been running in minimalist and transitional shoes over the past two years and have not had any issues running in these even though the heel to toe ratio is 10mm. I think the overall lower stack height helps. Nice review. 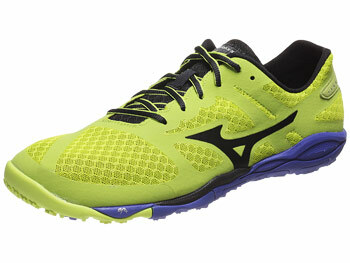 Only once question… you mention that Sayonara has roomy forefoot, is a lot roomier than Kinvara? I have only recently purchased my first pair of Kinvaras. Mine are the V2, but I assume the V2 forefoot/toebox is similar to the V3 & 4. I feel that the Sayonara forefoot/toebox IS roomier than the forefoot of the Kinvara. My Kinvaras have a bit of a pointy toebox and I almost wish I had gone a 1/2 size larger even though they fit well in all other size aspects. You can see from the photo that I took from above of the toebox the “square-ish” shape of the Sayonara toebox that makes it very roomy for the toes. I’d agree that the Sayonara has more room up front. Thanks. Will try one for my half-marathon in december. How is the feel in the arch area? Is there a noticeable cut in under that area? My flat feet are pretty wide in front of the heel and tightness in the arch and midfoot area tends to irritate. I am not 100% sure what you mean by “cut in”, but I don’t feel any sort of annoying pressure or support under the arches. I usually find any sort of arch pressure to be quite annoying, and I don’t feel that on these shoes at all. Definitely worth trying them on at your local running store. Thanks to Brad and Pete for this opportunity! Brad – great depth and detail in this. I find the new crop of Mizunos are extremely smooth and make you feel fast (like they want to go fast). A question – what’s your running style? I run forefoot/midfoot, and find the Kinvaras are ok, but a little too stiff and end up giving me a bit of tendonitis behind my toes. I love my Wave Evo Cursoris, but want something with more cushion for an upcoming half, so I’m curious if you ran the distances you mention with a more frontal strike as opposed to a heel strike. Great depth and detail in this. I find the new crop of Mizunos are extremely smooth and make you feel fast (like they want to go fast). What’s your running style? I run forefoot/midfoot, and find the Kinvaras are ok, but a little too stiff and end up giving me a bit of tendonitis behind my toes. I love my Wave Evo Cursoris, but want something with more cushion for an upcoming half, so I’m curious if you ran the distances you mention with a more frontal strike as opposed to a heel strike. Thanks! I run with a forefoot/midfoot strike; so I am very much inline with what you are talking about and looking for. I think the Sayonara might be a good answer for you if they give you more cushion than the Cursoris. Could we asume this could be a Saucony Kinvara competition?? Although a 10mm Drop seems way to high for my taste. Anyway what about the toe box, wide enough or narrow? I’d say no, very different shoe from the Kinvara. My impression of the Sayonara is that it’s a slightly lighter, lower drop version of a more traditional training shoe. I find it firmer and stiffer than the Kinvara, and it gets in the way of my stride in a way that the Kinvara does not. More traditional shoe with lower drop than normal. Got it. Is there any of the Mizuno that compares to the Kinvara segment? The Mizuno Hitogami is coming, that may be the closest. They don’t have a 4mm drop shoe with softish cushion, I think the Hitogami is 8-9mm, then drop right down to 3-4mm but really minimal Universe and the zero drop Cursoris/Levitas. thanks Pete, so Mizuno offers not really a 4mm drop cushioned (perhaps not to soft) long distance running shoe, right? I still like the idea of the rooomy toe box Brad mentions, so I will definitely give the Mizuno line a try to review if I can get them in an online sell. 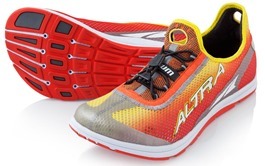 As Seth mentioned below, this shoe doesn’t really “feel” like a 10mm drop shoe when you run in it. At least it doesn’t to me, and he says the same thing. I know Pete doesn’t like it in comparison to the Kinvara, but each runner is different. I have done a few runs in my V2 Kinvaras and find the shoes to be quite different. The Kinvara seems softer and more “spongy” whereas the Sayonara is cushioned but in my opinion, seems a little more responsive. Again, my main recommendation would be to just go try a pair on and see what you can feel, that is really what matters more than numbers on a spec sheet. Oh, and to answer your toe box question, the Sayonara has a very wide and roomy toebox; much moreso than the Kinvara. I find the toebox on my V2 Kinvaras to be a bit cramped, but the Sayonara is super roomy and does not constrict my toes at all. Thanks Brad, down here in Mexico it is rather impossible to try them in the store, we have to rely 100% on online shopping (if we can get the shop to ship it via USPS). I think I agree with you, the Kinvaras are too soft, pointy, and cramped (my big toe rubs), and I would love to have more toe splay space. 10mm would be fine with me for big distances, I hope to finally become a marathinist next year. But I really like flexible shoes. What do you think about the flexibility of this one? Great review as ever. I was looking for a daily workhorse/longer runs to support my Brooks Green Silence’s which I will use for speed work and shorter runs. I had debated whether to go for Kinvara’s or Gel-Lyte 33 2’s or Pure Flows. Sounds like I now have another choice. How do the Sayonara’s stake up against theses others? The Sayonara is like a mildly stripped down traditional shoe, of the ones you mention the Lyte33 might be the most similar. The Kinvara and Flow are softer rides and lower drop, Kinvara is probably not a whole lot different in terms of cushion from the Green Silence. Thanks Pete. What would you advise for a everyday shoe/long distance shoe to use? Since I started running I’ve tried most major brands until I found a connection with Mizuno, the brand that particularly caters to my running biomechanics. And ever since I’ve been a Mizuno loyalist. I’ve been on the hunt for shoes that’s in between traditional trainers and minimalist. Just a couple of months ago I purchased a pair of Precision 13’s and fell in love with them. Upon learning that Mizuno discontinued the Precisions to give way for the Sayonaras, I was not so comfortable with it. But here I am eventually getting my hands on a pair of Sayonaras. I’m mostly comparing the Sayonara to the Precision since it’s the shoe that replaced it. On first fit, there’s a distinct difference: The Sayonara is significantly snug on the midfoot and you can feel the midsole on your foot arch. On the contrary, the forefoot is very roomy, even roomier than the Precisions. At first I was skeptical on how I would manage to run on these particular fit, but I was very surprised. These shoes are awesomely responsive, light and would make you run quicker instinctively. Since I am a midfoot to forefoot striker, the midsole that pushes on your foot arch was barely noticeable. These shoes are absolutely outstanding that it deserves it’s Best Debut award from Runner’s World. The only thing that makes me pick the Precision over the Sayonara come race day is it’s cushioning. The Sayonara is somehow stiff on toe-off, as compared to the spongy Precision. But overall, if you’re looking for a shoe as light as a feather to rotate with your traditional trainers, and eventually use on race day, the transition from the trainer to the Sayonara is very significant. 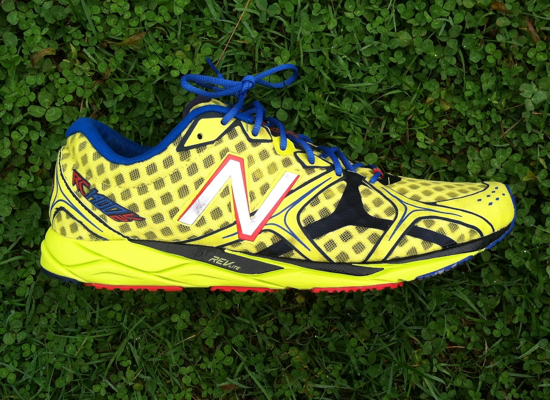 This shoe is highly recommended for tempo runs and speed workouts, and of course during race days. Great job Mizuno! I am a runner still searching for that ‘right’ pair of shoes. I have purchased 6 pairs, across a range of brands this year. I have just completed a marathon in the Wave Ronin 4. I have the kinvara 3, but find the toebox too narrow and it feels stiff or ‘slappy’ on ground contact ? I havent experience this in other shoes. I hear the sayonara is stiff ? How does it transition ? is there much ground slap and noise ? also how would it compare to a Asics DS Racer ? I know others disagree, but as a mild heel to midfoot striker I find the Sayonara stiff. But, best bet is to go to a run specialty store where you can take them for a jog around the blog and see how they work for you. I currently run in Brooks Ghost for everyday road work. I supinate so neutral is best for me. The Ghosts are nice but a shade firm and maybe a touch heavy. How might these compare? Sayonara is light but also a pretty firm shoe. Haven’t run in the Ghost so can’t compare directly. Was wondering what your opinion is on the difference of cushioning between the sayonara and the nike free 5.0. Stack heights are nearly the same according to running warehouse. Should this mean that the “feel” is about the same, especially in the forefoot?? Very different shoes. The Sayonara has a firm, rigid heel, and is a stiffer shoe. The Free feels silent when you run, super flexible. I like running in the Free, the Sayonara did not work at all for me. Hi, bought a pair of sayonara a couple of weeks ago and have been for 4 runs. After 2 ok runs I found the tops of both of my feet were in pain and bruised, I have been running for years at a reasonable level(2.40 marathon) and never experienced anything like this. I bought these as a high mileage shoe for marathon training but I don’t think I will be able to put these shoes on my feet again. I also found them pretty rigid in the forefoot. I have tried loosening the laces, lacing differently but not had any luck. I’m pretty gutted, these shoes aren’t for me. Just moved on from the wave exlior to the sayonara model. I must say that I was hoping for an easier transition, as ive been told that the sayonara model is the logical replacement for the exlior. Attemped to go for two short runs and ive noticed sore points on the outer side of feet. Almost to a point where ive stopped to take my shoes off. I’m assuming this is a sign that the sayanora isnt the right fit for me. I found the Sayonara to be really firm along the outer margin, didn’t work for me for that reason. Really? After all of those miles and your overwhelmingly positive review, you decided that you don’t like these? Brad Patterson wrote the review, not me. This was a guest review, I just commented on it with my own feelings about the shoe. I researched the pants off these shoes before buying a pair and I couldn’t be happier with my decision. They’re hands down (feet down?) the best shoes I’ve run in, ever. They’re flexible (after a few runs), light, grippy (on road) and surprisingly durable. The nubby forefoot outsole area is still in tact and hasn’t showed any signs of peeling. I land on the outside my midfoot and the rubber in that area still hasn’t worn through. I’ve done about 1300km’s on them and they’re still holding up well, although technically should be replaced. They’re great for anything up to a marathon but I found the soles of my feet started to ache once I entered the ultra distance realm. I ran the Comrades marathon (90k) in them and suffered. That might not have anything to do with the shoes, it could just be my lack of ultra distance experience, but still worth considering. Otherwise, the U4ic cushioning is fantastic. I wouldn’t recommend using them for rocky, technical trail runs. I tried them out on a run recently and they got pretty beat up. They have zero grip on wet grass, especially when it’s on a slope or in muddy areas and they offer very little under-foot protection from pointy rocks. The upper material looks like it’s been sand blasted from brushing past rocks and is filthy from mud despite numerous cleaning sessions. It doesn’t really bother me but if you’re fussy about shoe cleanliness, then make sure you avoid mud. The exposed foam in the arch area took a battering and looked like a dogs chew toy after the run. Having said that, they work fine on jeep track and non-technical trail, just watch out for those sneaky stones. Besides that, I’ve knocked my 5k PB down by about a minute since buying the Sayonara’s. It might be psychological or it might be the shoes, but either way they feel fast. All in all I’ve had a fantastic experience with the Sayonara’s and will definitely be buying a follow up pair. Thanks for the review – it helped a lot! Just a quick inquiry about some shoes… I’ve had a lot of success with the Sayonaras and previously the Elixirs… However, I’m intrigued by the Zoom Pegasus 31s. I’m looking for something that has a bit more longevity that can handle a bit higher mileage, without getting me hurt. What do you think? Ever tried the Peg. 31’s? 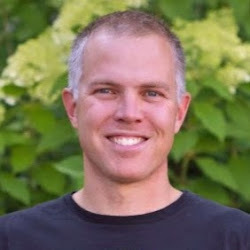 I have reviewed the Peg 31 here: link to runblogger.com. Much softer, more cushioned than the Sayonara. I prefer the Peg personally between the two.